Over the years the association has changed from just a group of members getting together monthly for support to a developed group that has goals and purpose. The Charles County Family Day Care Association’s mission statement for the present and future is to provide and promise professional and quality childcare to families throughout Charles County, Maryland. Individual childcare providers receive encouragement of professional growth and development by the means of advocating and initiated training. The Charles County Family Day Care Association promotes the awareness of training offered in areas of not just the County but also at a State level and/or through Federal Agencies. Different programs are presented at the monthly meetings which include different topics of interest that are valuable to childcare providers. To communicate through networking and provide a source of information to our members and other interested persons. To review the State’s childcare regulations, and to work for necessary changes. Provide assistance in preparing the children in our care to enter elementary school. To inform and educate County, State, and Federal Legislators on relevant family childcare issues. 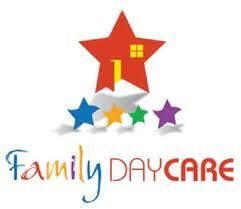 To increase and improve the public awareness of professional family childcare providers. The CCFDCA, Inc. pledges to support the rights of children as individuals to learn and play in an environment that is socially and emotionally fit to meet their developmental needs. The future goals of the association are to endorse the Maryland Credential Program and the National Accreditation Program, so that every member will be involved in these programs. To provide education to all members of the association that will enhance children’s development during care so that the children are prepared for school both academically and socially.​ We further pledge to work as a united team to support or to lobby for alterations and transformations in childcare regulations, which will benefit not only the providers but also the children in the day care provider’s care.